Level 2 is about covenant with deeper understanding and communication. 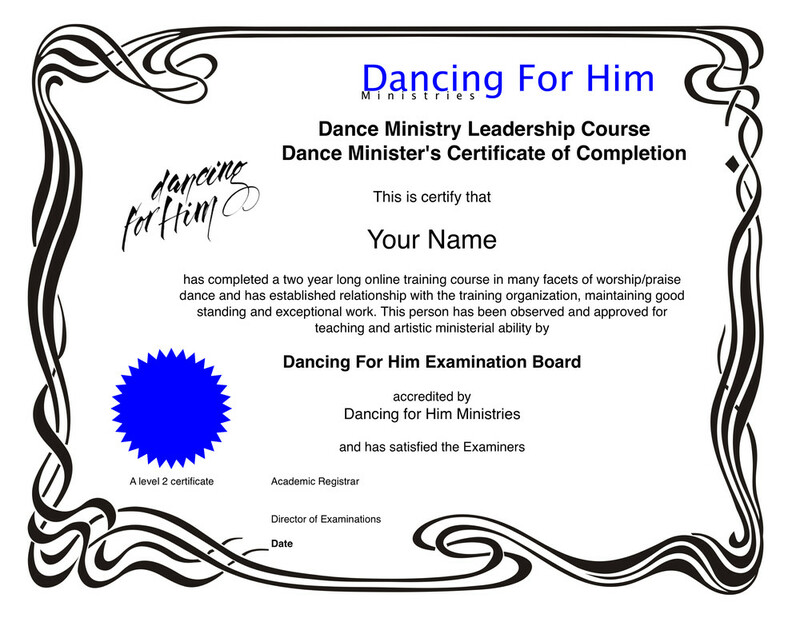 The purpose is to receive adequate training, understanding and experience in order to be a capable teacher and minister of worship dance. Upon successful completion, you’ll receive a Dance Ministry Leader's Certificate . On or around January 10th, after you are fully registered, we will begin a folder for you and keep track of your progress. You will then also receive your welcome letter with information, code and password for your Moodle assignment grading system, an invitation to the Level 2 private Facebook and advice on how to prepare and begin.